From the deeply unsettling to the possibly supernatural, these thirty-one border-crossing stories from around the world explore the uncanny in literature, and delve into our increasingly unstable sense of self, home, and planet. 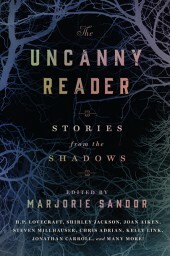 The Uncanny Reader: Stories from the Shadows opens with “The Sand-man,” E.T.A. Hoffmann’s 1817 tale of dopplegangers and automatons—a tale that inspired generations of writers and thinkers to come. 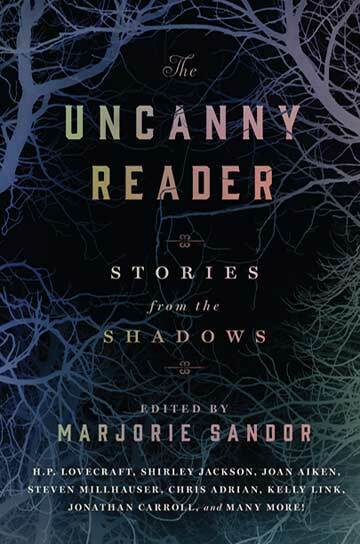 Stories by 19th and 20th century masters of the uncanny—including Edgar Allan Poe, Franz Kafka, and Shirley Jackson—form a foundation for sixteen award-winning contemporary authors, established and new, whose work blurs the boundaries between the familiar and the unknown. These writers come from Egypt, France, Germany, Japan, Poland, Russia, Scotland, England, Sweden, the United States, Uruguay, and Zambia—although their birthplaces are not always the terrains they plumb in their stories, nor do they confine themselves to their own eras. Contemporary authors include: Chris Adrian, Aimee Bender, Kate Bernheimer, Jean-Christophe Duchon-Doris, Mansoura Ez-Eldin, Jonathon Carroll, John Herdman, Kelly Link, Steven Millhauser, Joyce Carol Oates, Yoko Ogawa, Dean Paschal, Karen Russell, Namwali Serpell, Steve Stern and Karen Tidbeck.